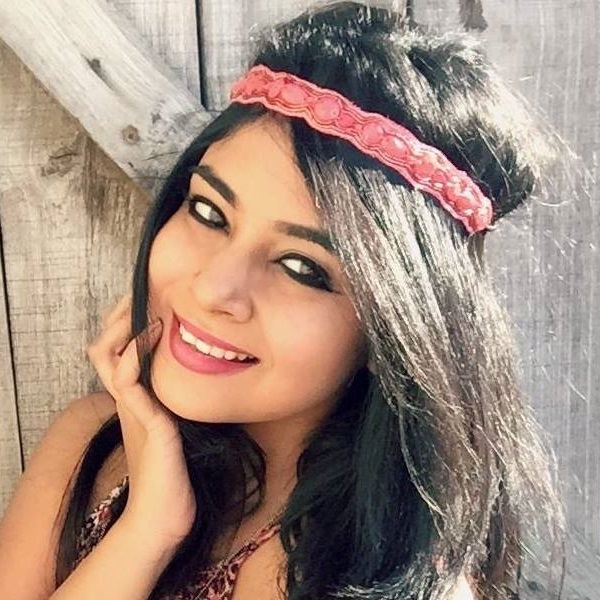 #DoubleDuty: These Homemade Packs Are Good For Your Hair AND Skin! 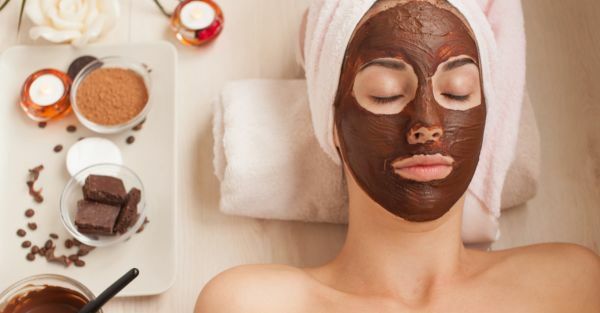 Girl, are you thinking of taking a break from your usual beauty products? It’s always good to go au naturel from time to time. Make most of the natural ingredients with DIY homemade packs. Whether it’s bouncy, healthy hair that you desire or fresh, dewy skin that’s on your mind, we bet these 2-in-1 homemade packs for face and hair will bring you happiness. You’re welcome! Coffee Powder To The Rescue! 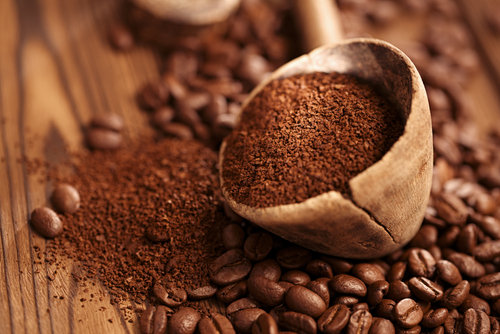 Who would have ever thought that coffee would make a fabulous beauty ingredient, eh? Well, it not only contains exfoliating properties but also proves to be a fab antioxidant for both skin and hair. Step 1: Add 1 cup of coffee powder and ½ cup of brown sugar to a bowl. Step 2: Then, pour ¼ cup of olive oil into the mix. Stir well. Step 3: Using your fingers, apply the paste all over your skin and mane. Step 4: Wait for about 30 minutes and wash the brown thick paste off using lukewarm water. Using this homemade pack for face and hair once a week is good enough. Aloe vera makes for the coolest homemade pack because it’s packed with proteolytic enzymes that help repair dead skin cells. You can also use the gel as a conditioner for your hair. It will make your mane glossy, healthy and bouncy. Step 1: Cut 2 thick leaves from the aloe vera plant using a sharp knife. Step 2: Slit open the top layer of the plant and scoop out the translucent aloe gel. Step 3: Put fresh aloe pulp into a bowl and add a tablespoon of fresh lemon juice. Step 4: Stir well and empty both ingredients into a blender. Step 5: Blend the mixture for about a minute. Step 6: Apply this homemade pack all over your skin and hair. Step 7: After an hour, head to the shower. Try this mask once a week at night before you hit the sack. The protein found in eggs is what benefits hair and skin. Give your skin a boost of hydration and elasticity. What’s more, homemade packs using eggs also help in softening and strengthening hair at the same time! Step 1: Pour the whites of 2 eggs into a container. Step 2: Add a big scoop of unflavoured yoghurt into the mix. Step 3: Whisk the mix till you’re left with a thick paste. 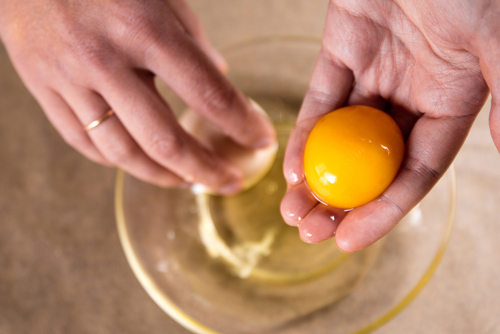 Step 4: Starting from your hands, apply the egg mask all the way up to the crown of your hand. Step 5: Allow the mask to stay on for a good 20-30 minutes. Step 6: Wash it off with chilled water after. Using this homemade pack twice a month will fetch you positive results. If you’re looking a good homemade pack, you’ve got to give this yoghurt mask a shot! It moisturizes skin like a pro and puts an end to hair fall and dandruff. Step 1: Add 2 tablespoons of yoghurt into a bowl. Step 2: Pour ½ cup crispy oats into the mix. Mix it well. Step 3: Use clean fingers and gently apply it to both, hair and skin. Step 4: Leave the mask on for an hour and wash it off with lukewarm water after. Use this homemade pack for hair and skin three times in every two weeks. 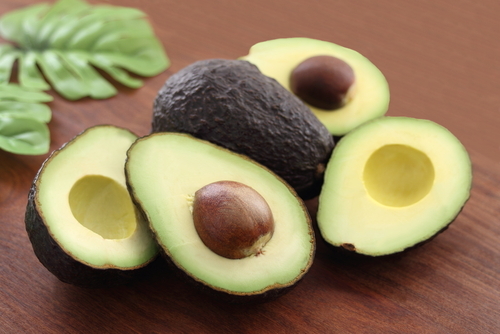 Did you know that avocados have nourishing and hydrating properties? It’s perfect for both dry hair and skin! The best part is that this homemade pack for face and hair is super easy to make. You should totally try it out. Step 1: Blend avocado chunks to a fine puree. Step 2: Pour the puree into a bowl and add a cup of fresh milk. Step 3: Add a teaspoon of almond oil and using a spoon. Blend all the ingredients. Step 4: Apply some of it on your locks and some of it on your skin. Step 5: Put on a shower cap and don’t wash the mask off till it dries up and hardens. Step 6: Go for a shower after 45 minutes. Apply this homemade pack once every week and you’ll be sorted! Strawberries are amazing because they contain Vitamin C and when used on hair, it helps regulate pH levels of your hair. The homemade pack recipe mentioned below will not only help you get glowing skin but also shinier hair. Step 1: Cut 4 fresh strawberries into fine pieces. Step 2: Toss them into a mixer and grind them till you’re left with a thick, frothy pinkish paste. Step 3: Pour the puree into a bowl and add 1 tablespoon of honey and coconut oil. Step 4: Gently apply the paste all over your mane, face and neck. Step 5: Massage it in circular motions. Leave the mask to dry out for about 40-45 minutes. Trying this homemade pack for face and hair every weekend for a month will give you the best skin and hair.